Several stones in Bethel Cemetery record the date of death as 1852 and 1853, with many others added through the 1860’s, well before the Bethel Church was built on Manchester Road. The founders of Bethel Church were looking for a place to build a place of worship when the St. Louis Marble Company gave two acres for a church, as well as five acres for a cemetery that was located directly behind (south) of the church. A Quit Claim was given on May 19, 1873 to Joel R. Frazier, Peter M. Brown, John Letcher, Thomas M. Wright and Philander P. Lewis, trustees of Bethel Society of “the Methodist Episcopal Church South”. The Bethel Church building was completed in 1875. The cemetery has long been an important part of Bethel’s service to the community. The first burial after receiving the ground was in August 1873 of a Mr. William Atwell. Mr. McLoon, Superintendent of the Glencoe Lime Company kilns, donated the gravel for the first drive in the cemetery. The first road into the cemetery was to the east side of the church, just west of the white farmhouse (which wasn’t there at that time). Raymond Wright, J. W. Fridley, and other men with teams hauled the gravel and built the roads. Those interred at Bethel were always placed facing east. Richard Austin, a slave once owned by Mr. Frazier (then a freed slave still living with Mr. Frazier) was the first custodian of the church and was also responsible for the care of the churchyard and cemetery. Since that time a number of men have completed these chores. In 1973-74, after a long period of concern about future maintenance and the difficulty of maintaining a cemetery by private donations, John Oliver Bartold, Edward Schalk, and other cemetery trustees established a “Cemetery Trust Fund” to ensure that funds for maintenance and upkeep of the grounds would be available even after all the lots were sold. 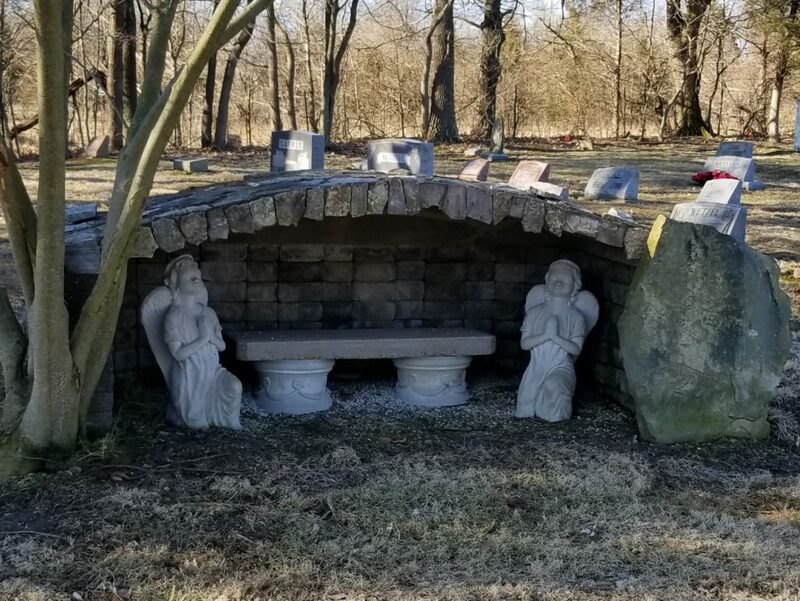 A portion of the money (according to the Missouri State Code for Cemeteries) from the sale of each lot goes into the trust fund, with the interest from the fund used for maintenance. In the Southwest corner of the Bethel Cemetery approximately 40 graves have been found without headstones. Stories have been passed down that slaves and their families, as well as workers of the Marble Company were buried in that area. To give respect to this area a “Garden of Remembrance” was built such that no structures are built on the graves and the pathways will wind between them. 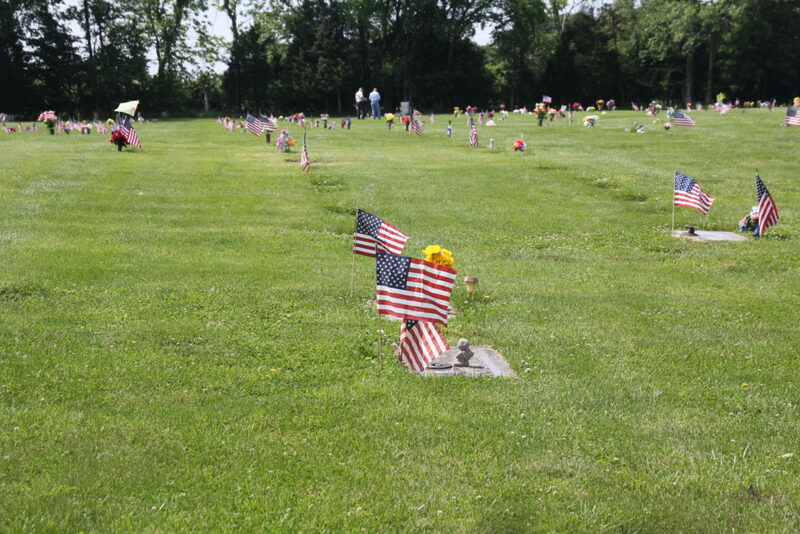 The Bethel Cemetery in Wildwood is the final resting spot for more than 2350 people. The oldest part of the cemetery is the area immediately south of the church building. This older area contains the “upright stones” and is now intended as a private burial area for Bethel church members only. The newer portion of the cemetery (to the west) contains headstones flush with the ground, which greatly simplifies maintenance. 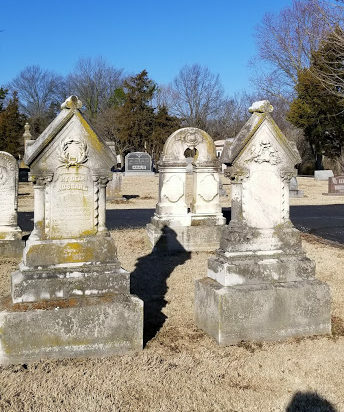 Visitors walking through Bethel Cemetery will see the graves of Civil War veterans, whole families that became victims of the black plague, and others who have unique epitaphs. The Trustees of Bethel strive to keep the cemetery looking beautiful and a comfort to those who are hurting.